To have a spiegeltent in the middle of Leicester Square during the festive season sounds a really good idea. You can have a drink, you can watch a show and you don’t have to think. And who better to fill the tent than Briefs Factory? Briefs Factory, the all-male boylesque troupe from Australia, started in a warehouse in Brisbane in 2008. They now perform all over the world and have a cult following. This is their third visit to London. The artistic director is Fez Fa’anana, who directs and also acts as host in drag and high heels. The show is a mixture of circus, drag, burlesque and comedy. The handbill boasts that the show tests the limits of masculinity, taste and decency. If only it did. But, sadly, Briefs is never as raunchy and raucous as its reputation. It’s certainly not as camp, butch and crude as its publicity photographs suggest it is going to be. And the hopes raised by the staging of the opening ensemble number are never realised. A totally unnecessary “spaceship into the future” theme is introduced but not developed and should be ditched. There are some breathtaking stunts, involving dangerous aerial acrobatics in a hanging birdcage and with hanging steel ring. Thomas Worrall ties his body into all sorts of shapes and knots. One of the show’s highlights is Paul Lim’s lighting which is always spot on. There is a clever juggler who does amazing things with six balls. The only humour comes from Dale Woodridge-Brown who is dressed as a silly rabbit. I should warn you there is a raffle and if you are unlucky enough to win you could end up on stage and take part in a lap-dance. 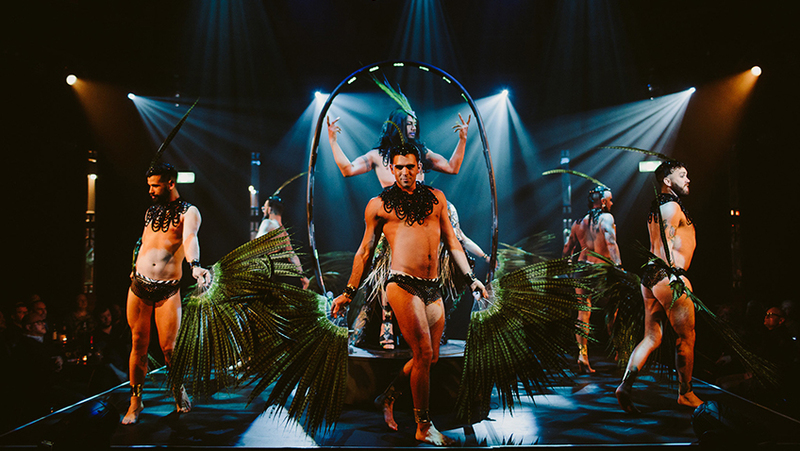 Briefs: Close Encounters is not as good as it should be, but judging from the enthusiastic reception it received on the press night, this is not going to worry the non-theatregoing audience, male and female, it is aimed at one jot.